It’s what you’ve been waiting for all year! DJ Pat Pat is releasing her annual compilation albums filled with previously released tracks by several well-known artists, given that magical DJ Pat Pat touch. For the past 12 years and counting, DJ Pat Pat has taken the hottest tracks of the year, and some popular throwbacks, to carefully curate a playlist that will keep you dancing all night. Filled with hot remixes and fluid transitions, Girls in Wonderland VOL 12 and Skin VOL 11 will make you feel as though you are partying until the early morning hours with your favorite real DJ: DJ Pat Pat. 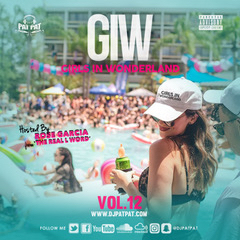 DJ Pat Pat is releasing Girls in Wonderland VOL 12 at the Girls in Wonderland 2018 celebration weekend in Orlando FL. Hosted by Rose Garcia from The Real L Word, this compilation album has tracks from Blocboy JB, Drake, Cardi B, Liam Payne, DJ Khaled, and many more. Girls in Wonderland is one of the hottest events of the year, bringing together thousands of women to benefit many South Florida organizations, including the National Center for Lesbian Rights, the Aqua Foundation for Women, as well as HRC, Save Dade, National Voices for Equality Education and Enlightenment, and the National Gay and Lesbian Task Force. Debuting together with Girls in Wonderland VOL 12 is Skin VOL 11, your compilation album for celebrating the beauty and sexiness of the people around you. This album, hosted by Mr. Hit Rècord, has sultry tracks from Nicky Jam, Becky G, Camila Cabello, Calvin Harris, Pitbull, Dua Lipa, and so many others. Both compilation albums are available on DJ PatPat’s online store, where you can pick up the entire Skin and Girls in Wonderland compilation series along with some awesome DJ PatPat merchandise. You can also listen to them on SoundCloud and MixCloud. 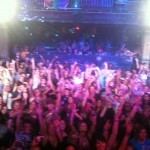 Remember to “follow” DJ Pat Pat to discover new music right when it is released!